Over the skies of Britain during the summer months of 1940 the first battle to be fought solely in the air took place between the Royal Air Force and Luftwaffe. Known as the Battle of Britain this was to be a pivotal moment in the Second World War as with the failure to gain air superiority the Germans suffered their first major defeat and were unable to launch an invasion. Our timeline covers key dates and events from the build up to the battle to the aftermath. When war broke out in September 1939 after the German invasion of Poland and subsequent occupation by both Germany and the Soviet Union there then followed a period of relative calm as no major land operations were undertaken by either side. These months would be known as the 'Phoney War', however this ended abruptly in April 1940 with the German invasion of Denmark and Norway. This would be followed the next month by the German advance west into France and the Low Countries. This is where our timeline begins. Neville Chamberlain resigns as Prime Minister and is replaced by Winston Churchill, who at that time is First Sea Lord of the Admiralty. On the same day France, Belgium, Holland and Luxembourg are invaded by Germany, with Luxembourg occupied the same day. This was the first phase of the invasion plan devised by Germany for Western Europe and was known as Fall Gelb (Case Yellow). Flying Officer D.E. Garland (pilot) and Sergeant T. Grey (observer) flying a Fairey Battle become the first Royal Air Force recipients of the Victoria Cross when they are posthumously awarded one. Leading aircraftman L R Reynolds (Wireless Operator/Air Gunner) was also aboard the aircraft and died. Winston Churchill makes his first speech to the House of Commons as Prime Minister offering "Blood, Toil, Tears & Sweat". The French front at Sedan, in the north of the country, is broken by the Germans. In response the RAF sends its last 71 Fairey Battles and Bristol Blenheims to attack troops and pontoon bridges in the area. 41 aircraft are lost. After 60 of the 118 Battles sent on sorties on the previous four days are lost the type is to mainly operate at night from now on. On the same day the Dutch Government prepare to discuss the terms of surrender. At the same time Luftwaffe bombers are on their way to Rotterdam, despite calling off the raid some aircraft don't get the order and as a result 814 civilians are killed as 57 Heinkel He 111s bomb the city. In his first speech as Secretary of State for War, Anthony Eden issues an appeal asking for people to volunteer to join the Local Defence Volunteers (LDV) on the same day Lord Beaverbrook is appointed Minister of Aircraft Production. At 11:00 the Dutch Army surrenders. Later that evening a force of 99 RAF Vickers Wellingtons and Armstrong Whitworth Whitleys bomb the Rhur and the industrial targets there. Air Chief Marshall Hugh Dowding Commander-in-Chief of RAF Fighter Command writes to the Prime Minister Winston Churchill requesting that no more fighter squadrons are sent to France. The decision is taken that de Havilland Tiger Moths and North American Harvards of RAF Training Command will be fitted with bomb racks in case of invasion. 12 Blenheims from No. 82 Squadron are sent to Belgium to attack German troops, of the 12, 11 are shot down. As the German advance continues Allied Comander-in-Chief Maurice Gamelin is replaced in the role by Maxime Weygand whilst any Royal Air Force aircraft in Belgium are ordered to leave. 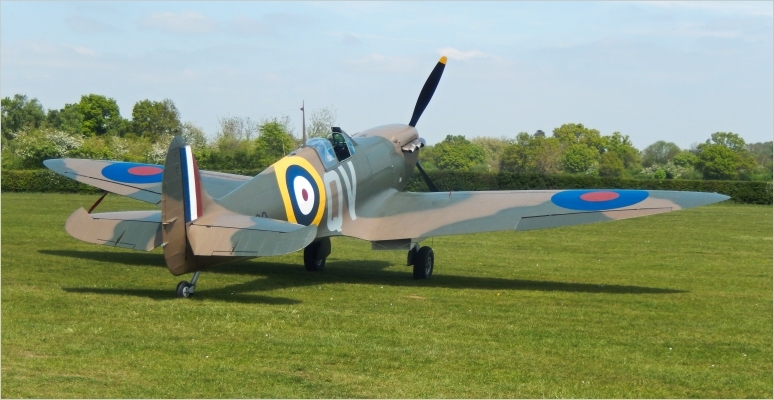 It will be squadrons of Hawker Hurricanes and Supermarine Spitfires operating from airfields in Southern England who carry out sorties over the battlefield. Lord Gort, Commander-in-Chief of the British Expeditionary Force, issues an order requiring troops to withdraw towards port cities such as Dunkirk. Winston Churchill broadcasts to the British public for the first time as Prime Minister. With the military situation in Europe worsening, plans, lead by Vice Admiral Bertram Ramsay, begin to be drawn up to evacuate troops from Dunkirk, codenamed Operation Dynamo. 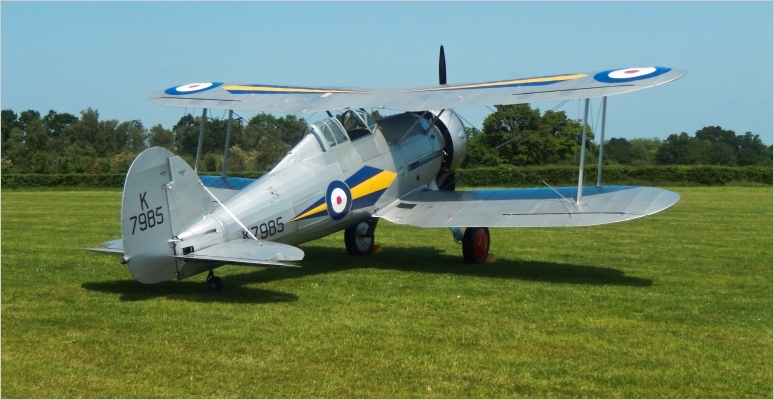 Gloster Gladiators of No. 263 Squadron, flying from HMS Furious, return to Norway and will be based at Bardufoss along with 6 Supermarine Walruses of No. 701 Naval Air Squadron. Adolf Hitler brings up the possibility of invading the United Kingdom. 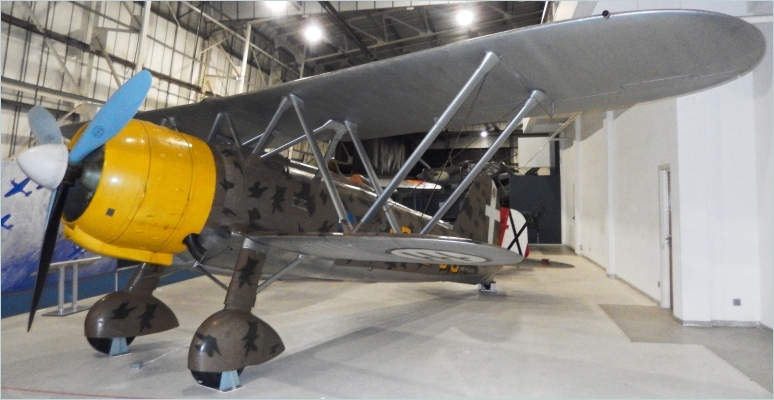 Equipped with Gloster Sea Gladiators No. 804 Naval Air Squadron of the Fleet Air Arm arrives at RNAS Hatston where it will serve as part of RAF Fighter Command until September. 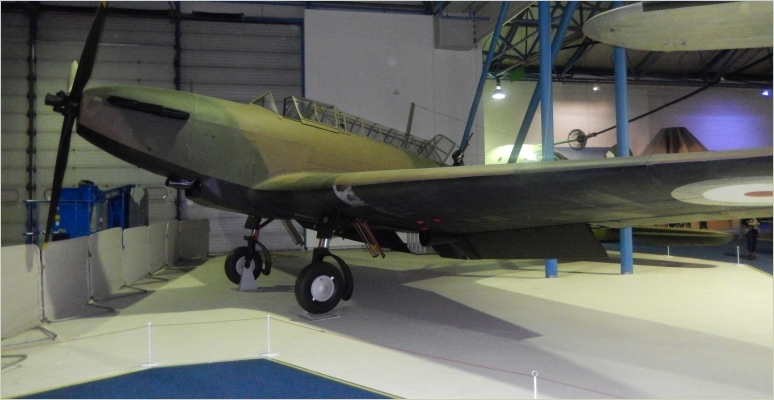 One of two squadrons loaned to Fighter Command for the battle. 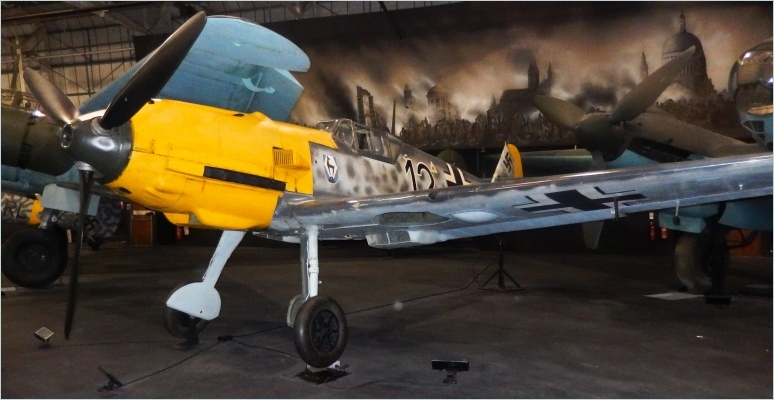 The Messerschmitt Bf 109 comes up against the Spitfire in combat for the first time. The process to begin the evacuation of Allied troops still in Narvik, Norway known as Operation Alphabet begins. No. 82 Squadron Bristol Blenheims attack German columns in Marke, Belgium. The order is given to implement Operation Dynamo and begin evacuating Allied troops from Dunkirk. Ships from the Royal Navy as well as civilian ships, later known as the little ships of Dunkirk, will take part. In the air a total of 32 Squadrons from the Royal Air Force will take part in providing cover. No. 46 Squadrons Hawker Hurricanes arrive in Norway. They will operate from Skanland. No. 46 Squadrons Hurricanes join No. 263 Squadrons Gladiators at Bardufoss. After eighteen days fighting King Leopold III orders the Belgian army to surrender, this comes into force at 4:00am. 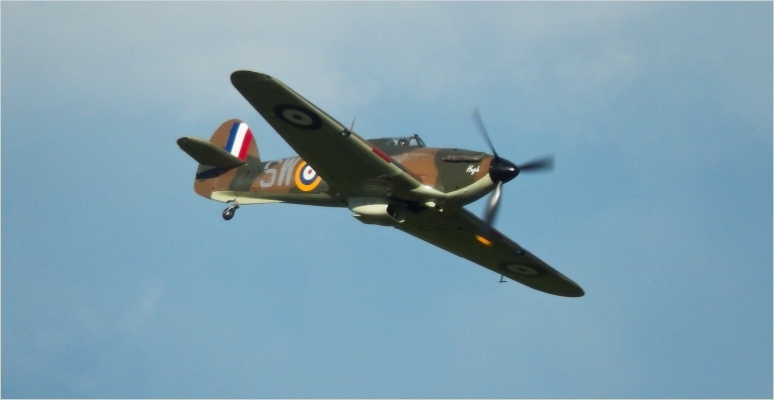 Over Dunkirk the RAF control fighter operations for the first time using VHF radiotelephone. As the evacuation of Dunkirk enters its fourth day 134,000 troops have been rescued. Far in excess of the anticipated 45,000 that could be rescued before the expected German advance stopped further rescues. A number of Fokker T-VIIIW sea planes from the Royal Netherlands Navy reach the UK. These would form the basis of No. 320 Squadron, this would be the first Dutch squadron within the Royal Air Force. Over 300,000 troops have been evacuated as Operation Dynamo enters its sixth day. Codenamed Operation Paula the Luftwaffe launch an attack to destroy the Armee de l'Air (French Air Force), but British Intelligence, thanks to Ultra, tip of the French about the operation leading to the attack failing. The Luftwaffe also bomb Paris with 194 people, mainly civilians, killed. As the evacuation of Dunkirk ends a total of 338,226 Allied troops have been rescued. The RAF suffer heavy losses with 177 aircraft of all types destroyed. In an address to Parliament Prime Minister Winston Churchill speaks of Britain's intention to fight on. We shall fight on the seas and oceans, we shall fight with growing confidence and growing strength in the air, we shall defend our island, whatever the cost may be. We shall fight on the beaches, we shall fight on the landing grounds, we shall fight in the fields and in the streets, we shall fight in the hills; we shall never surrender. Germany begins Fall Rot (Case Red) which sees them attack across the Aisne and Somme rivers for the second part of their invasion of France. Meanwhile the Luftwaffe perform small raids targeting the east and south east of Britain, with the first recorded bombs falling on Coventry. Whilst Coastal Command start patrolling French ports for signs of invasion. The British Government takes the decision to evacuate remaining troops and aircraft currently in Norway. As Operation Alphabet, the evacuation of Allied troops still in Narvik, Norway, ends the remaining aircraft of Nos. 46 and 263 Squadron in Norway board HMS Glorious which is attacked and sunk by the German battleships Gneisenau and Scharnhorst. Over 1,200 people die and only two aircraft survive. The French Government leaves Paris. After fighting for sixty two days Norway surrenders to Germany whilst Italy declares war on Britain and France, invading France the same day. The evacuation of Allied troops from Le Havre, Operation Cycle, begins. Prime Minister Winston Churchill flies to France whilst the French Government arrives in Tours. Whilst the Fiat headquarters and manufacturing plant in Turin are bombed by Armstrong Whitworth Whitleys of the Royal Air Force, but they miss the target and kill 14 civilians. On the same day Paris is declared an open city by the French military governor there, General Hering, Operation Cycle ends with 3,321 British and French soldiers evacuated, but over 6,000 are taken prisoner. German troops enter Paris, whilst equipment and personnel begin to be evacuated from the Channel Islands by Jersey Airways and No. 24 Squadron. The evacuation of civilians and Allied forces from ports in Western France, known as Operation Aerial, begins, whilst the remaining Fairey Battles of the Advanced Air Striking Force carry out a final attack, after this they will return to Britain. Operating from airfields in Southern France eight Vickers Wellingtons bomb Genoa. Paul Reynaud is replaced as French Prime Minster by Marshal Henri-Philippe Pétain who announces his plans to seek an armistice with Germany. France request peace negations with Germany begin. On the same day the Lancastria is sunk whilst evacuating Allied troops and civilians. More than 4,000 people die of the estimated 6,000 aboard. This is Britain's greatest ever maritime disaster, news of the sinking is kept hidden from the British public until after the war. The last remaining Hawker Hurricanes supporting the British Expeditionary Force (BEF) leave France. Flying from Nantes they land at RAF Tangmere. Nos. 1 and 73 Squadron operating the last Hurricanes of the Royal Air Force still in France return to Britain. Meanwhile in the House of Commons Prime Minister Winston Churchill warns of the upcoming Battle of Britain. For the Luftwaffe's first major night raid they target Canvey Island and its oil storage facilities as well as a number of airfields and other targets. This results in the first British civilian casualties of the Second World War. Hull is bombed by the Luftwaffe for the first time. Negotiations between France and Germany begin. France agrees an armistice with Germany. No. 14 Group, part of RAF Fighter Command, is disbanded. Talks between Italy and France start. Operation Ariel also officially ends. France signs an armistice with Italy. The armistice between France and Germany/Italy comes into force at 00:35. This would see three fifths of France under occupation with a free zone in the South governed from Vichy. Some small sections of Southern France near the Italian border would be occupied by Italy. There would also be a 31 mile demilitarised zone established on the border of Italy and Switzerland. German forces reach the French border with Spain meaning France is now completely occupied, whilst the Luftwaffe raids Liverpool, Newcastle and Southampton. Guernsey and Jersey are bombed by the Luftwaffe, killing 44 people. Hermann Goring, Reichsminister of Aviation, issues a directive with the aim of destroying the RAF as a precursor to the invasion of Britain. German forces begin their occupation of the Channel Islands as the Luftwaffe take control of Guernsey airfield. No. 808 Naval Air Squadron equipped with Fairey Fulmar Mk Is is formed at RNAS Worthy Down and is the second FAA squadron to serve with Fighter Command. Jersey, part of the Channel Islands, surrenders. Hitler orders preliminary plans for the invasion of Britain to be drawn up. Operation Catapult is carried out by the Royal Navy, this saw two battle-cruisers and six battleships of the French fleet based at Mers-el-Kébir attacked, to stop them failing into German hands. The attack saw one sunk and five damaged and the loss of 1,297 French servicemen. Bomber Command starts targeting invasion barges and the Luftwaffe bomb Cardiff for the first time. Plymouth comes under attack from the Luftwaffe for the first time. 11 Group which covers the South of England is split into two groups with the newly re-established 10 Group, headed by Air Vice-Marshal Sir C J Quintin Brand, responsible for covering the South West of England and South West Wales. The Battle of Britain begins as coastal targets and shipping come under attack from the Luftwaffe, which they call Kanalkampf (Channel Battle). Coastal areas start to come under attack as Portland, Poole and other areas in the south of Britain are targeted. Mine laying operations are started by the Luftwaffe. Winston Churchill addresses the nation, Britain would continue fighting. The English Air Force must be so reduced morally and physically that it is unable to deliver any significant attack against the German Army. The Luftwaffe attack British shipping convoys off Aberdeen and the Isle of Wight. On the day that Hitler delivers a speech with a peace offer for Britain, more shipping is attacked in the English Channel. 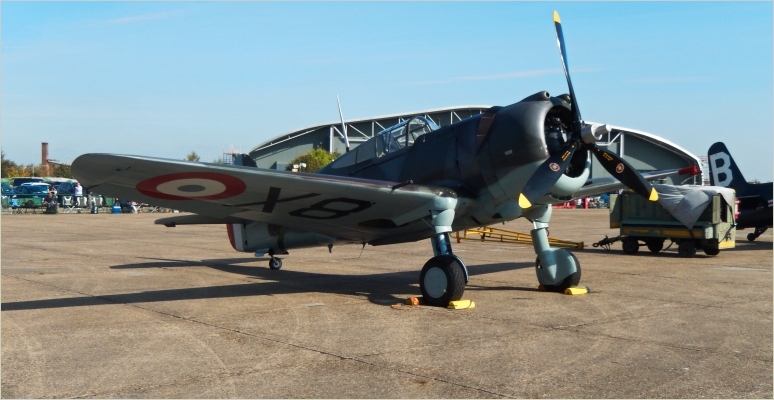 The day also sees the beginning of the end for the Boulton Paul Defiant as a day fighter as Hurricanes of No. 111 Squadron are sent to cover No. 141 Squadron Defiants after 7 of the 9 are shot down whilst on convoy patrol near Folkstone. Kent, Suffolk, Bristol and the Isle of Wight all come under attack from the Luftwaffe as do convoys off Dover and Swanage. No.14 Group headed by Air Vice-Marshal Malcolm Henderson is reformed as part of RAF Fighter Command and will provide cover for most of Scotland. Adolf Hitler declares that the 15th September 1940 is the latest date for Operation Sealion to take place. 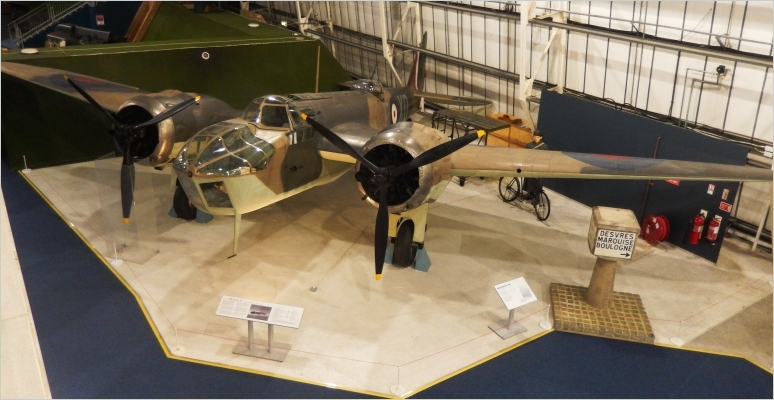 On the day Foreign Secretary Lord Halifax dismisses Hitler's peace offer a Bristol Blenheim Mk IF equipped with Airborne Interception radar becomes the first Royal Air Force aircraft to shoot down another using this system when a Dornier Do 17 is attacked. Further attacks by the Luftwaffe on convoys off the south and east coast. Due to heavy losses all daylight movements of Merchant ships through the Straits of Dover are stopped by the Admiralty. Shipping is attacked off Ordforness, Clacton and Harwich. The German Air Force is to overpower the English Air Force with all force at its command, in the shortest possible time. The Luftwaffe raid a number of areas across the United Kingdom including Aberdeen, Poole and Liverpool. The Luftwaffe starts to target British ports and harbours. Birmingham is bombed by the Luftwaffe for the first time. In an effort to entice RAF fighters into combat airfields, mainly in the South East and 11 Group, headed by Air Vice-Marshal Keith Park, come under attack from the Luftwaffe. Radar stations also come under heightened attack. Around 1,500 German aircraft take part in Adler Tag (Eagle Day) as the Luftwaffe attack radar stations and airfields. This would be the first of a number of large raids with the intention of stopping the Royal Air Force being an effective fighting force. On the same day twelve Blenheims of No.82 Squadron are dispatched on a daylight raid to Denmark targeting Aaalborg airfield. 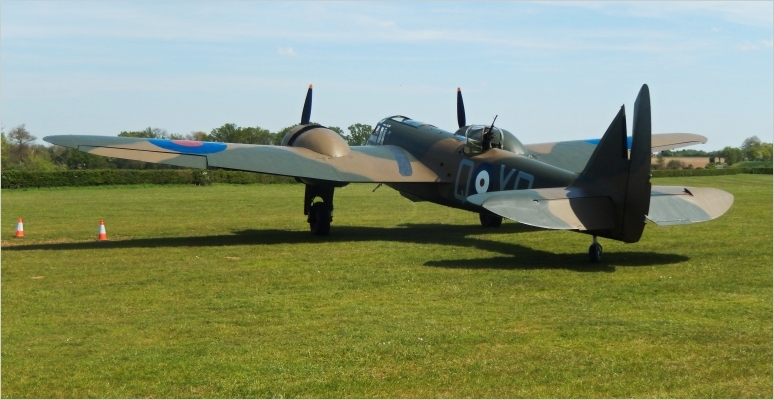 Eleven of the Blenheims are shot down whilst one had returned to base with technical problems. Only 13 of the 33 airmen survive as prisoners of war. In the space of three months No. 82 Squadron has effectively been destroyed twice. RAF Middle Wallop and RAF Warmwell are bombed as part of the Luftwaffe's continuing effort to destroy the Royal Air Force. 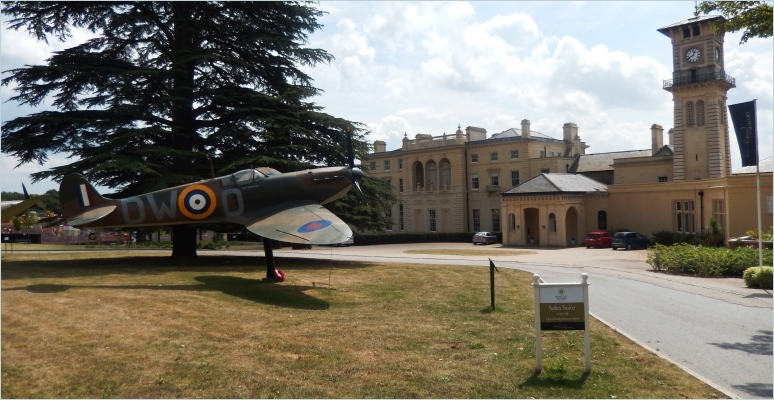 Prime Minister Winston Churchill is at Bentley Priory, Fighter Command's headquarters, alongside Hugh Dowding, as further large scale raids are undertaken by the Luftwaffe. With 75 aircraft lost this was the most costly day for the Luftwaffe during the battle and they would later refer to the day as 'Black Thursday'. The Short's factory at Rochester is bombed. The damage inflicted means production of the Short Stirling is hampered for three months. No. 302 is the first Polish Fighter Squadron to be given operational status and serves as part of 12 Group operating from RAF Leconfield at the time. Flight Lieutenant James Brindley Nicolson of No. 249 Squadron, flying a Hurricane, is awarded Fighter Command's only Victoria Cross of the war. On the day that Liverpool suffers its first bombing raid the Air Ministry orders that airfields in occupied Europe where the Luftwaffe are attacking from come under heavier attacks from Bomber Command. No.1 Fighter Squadron (Royal Canadian Air Force) becomes the first operational Canadian Squadron in the Royal Air Force. In an attempt to weaken Britain, Hitler orders a total blockade. Further large scale attacks take place by the Luftwaffe as RAF airfields come under attack in the South and South East. These include Kenley, Biggin Hill and West Mailling, leading to huge loss of aircraft on the ground. These attacks were designed to immobilise Fighter Command once and for all. The Luftwaffe also attack Sheffield for the first time. This day would see the highest combined losses for the Royal Air Force and Luftwaffe during the battle and would lead to Britain calling it 'The Hardest Day'. The Luftwaffe's Junkers Ju 87 Stuka had been suffering heavy losses over Britain and as a result operations with the aircraft began to be scaled back. A change in tactics is issued by Keith Park, from now on fighters are to operate over land only and prioritise bombers. Sector Stations are also to be defended. With losses of aircrew mounting the time fighter pilots will spend in Operational Training Units is cut from 6 months to 2 weeks. Speaking in the House of Commons Winston Churchill praises the pilots of the Royal Air Force, including Bomber Command, with the words “Never in the field of human conflict was so much owed by so many to so few." On the day the Local Defence Volunteers is renamed the Home Guard, South Wales comes under attack. 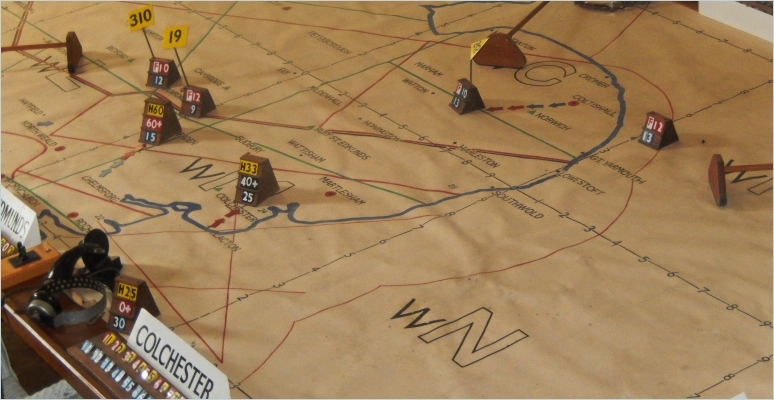 The Luftwaffe increase the pressure on the RAF with raids on Portsmouth and a devastating raid on RAF Manston which kills a number of personnel and leads to the airfield being evacuated. A major turning point in the battle occurs when the centre of London is accidentally bombed by the Luftwaffe against Hitler's orders. Night time attacks by the Luftwaffe start to increase. After the bombing of London over 70 bombers comprising Vickers Wellingtons, Handley Page Hampdens and Armstrong Whitworth Whitleys are sent to raid Berlin for the first time. Campile in County Wexford, Ireland is bombed by the Luftwaffe killing three people. A protest to Germany is made by Ireland. No.1 Fighter Squadron (Royal Canadian Air Force) engage the Luftwaffe, the first RCAF squadron to do so, over Southern England. During the day London, the Midlands and the North East Coast come under attack, whilst during the night Liverpool suffers a heavy attack. 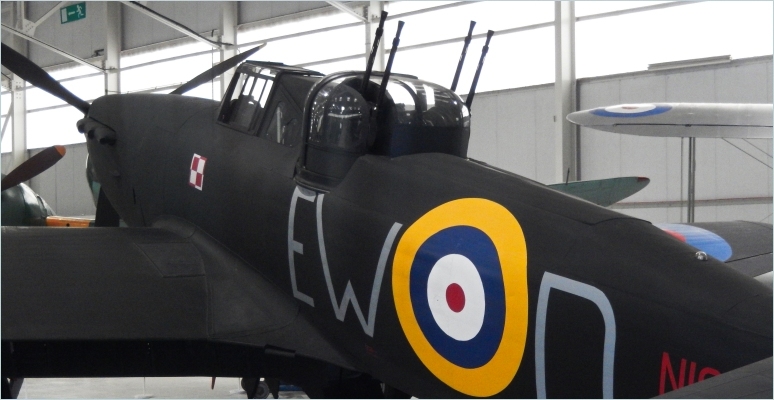 This day would also be the Defiant's last as a day-fighter as it would now operate only as a night fighter. Once again Liverpool comes under attack at night whilst the Midlands is attacked during the day. Ireland receive an apology from Germany over the bombing of Campile in County Wexford. This time Luton and the South Coast came under attack from the Luftwaffe, for the third night in a row Liverpool is bombed. As the air battle intensifies Fighter Command losses 41 aircraft, this will be the highest daily loss for it during the battle. Once again Royal Air Force airfields in the South and South East Coast come under attack. During the night Liverpool suffers its fourth consecutive day of bombing. No. 303 Polish Fighter Squadron become operational flying the Hurricane Mk I. This is thanks in part to Flying Officer Paszkiewicz who shot down a Messerschmitt Me 110 the previous day. They would operate from RAF Northolt to begin with and would go on to become the highest scoring squadron of the battle with 126 victories. The airfields of Fighter Command come under heavy attack with Biggin Hill being damaged so much it would be classed as non-operational for a short period. During the night Liverpool was targeted again. Airfields across Britain are attacked with night time again bringing the Luftwaffe to Liverpool for the sixth night in a row. The 21st September is set as the date for Operation Sealion by Adolf Hitler. Adolf Hitler says he will erase British cities in a speech in response to the Royal Air Force raid on Berlin the previous month. And if the British Air Force drops two, three or four thousand kilos of bombs, then we will drop 150,000, 180,000, 230,000, 300,000 or 400,000 kilos, or more, in one night. If they declare that they will attack our cities on a large scale, we will erase theirs! No. 312 (Czechoslovak) Squadron is made operational operating Hawker Hurricane Mk Is from RAF Duxford. As a result of intelligence obtained by the Royal Air Force showing preparations for invasion were continuing an alert to prepare for invasion is issued. The Luftwaffe makes its first co-ordinated raid on Central London when just after 17:00 around 965 aircraft attacked the Dockland areas, Woolwich and Purfleet. Further raids followed on the East End and Central London and when the attack ended at 4:30 the following morning 430 people had been killed. This would be the first of 57 consecutive nights of bombing on the capital. The first use of the 'Big Wing' tactic championed by Air Vice-Marshal Trafford Leigh-Mallory Commander of 12 Group and Acting Squadron Leader Douglas Bader occurs. This sees the Duxford Wing, which consists of Nos. 242, 312 and 19 Squadrons sent to patrol North Weald. During an air raid the shelter housing people and visitors from the Peabody Estate, Whitechapel suffers a direct hit, killing 78 people. Targets across London come under attack during the day and into the night. Italy will take part in the Battle of Britain and this sees the formation of the Corpo Aereo Italiano (Italian Air Corps). Hitler postpones the decision on whether the invasion of Britain will go ahead until the 14th September. During the day London, Portsmouth and Southampton are raided by the Luftwaffe whilst during the night London is attacked again. Winston Churchill tells the nation in a radio broadcast that the German invasion “if it is to come, will come soon”. For the second time Adolf Hitler delays the decision on invading Britain, this time until the 17th September. The Luftwaffe launch an attack in a bid to finally overcome the Royal Air Force and win the battle for air superiority. London would be attacked twice, first at 11:00 when two waves of aircraft totalling around 250 bombed the capital. Then at 14:00 two waves of aircraft, again around 250, attacked London. Southampton and Portland were also targeted, whilst during the night a further raid on London occurred. Meanwhile dogfights took place in the skies as both sides suffered heavy losses with the RAF losing 31 aircraft and 16 aircrew whilst the Luftwaffe lost 61 aircraft and 93 aircrew. After failing to inflict a decisive blow to the RAF the Luftwaffe would start to reduce attacks. This day would later become known as 'Battle of Britain Day'. No. 9 group is formed. This will cover Northern Ireland and the North West of England and will be headed by Air Vice-Marshal W.A.McClaughry. Operation Sealion is postponed until otherwise ordered by Hitler. London again comes under attack during the day and night. Raids take place across the UK as London again is bombed as are targets along the Essex and Sussex coast. During the night the South West, Midlands and London come under attack. Invasion barges are once again targeted by the Royal Air Force. Tilbury and Southampton come under attack during the day whilst at night London is attacked again. To recognise acts of bravery by civilians and military personal during the battle and the Blitz King George VI initiated the George Medal and George Cross “for acts of the greatest heroism or of the most conspicuous courage in circumstances of extreme danger”. Bristol Aircraft Company based at Filton, Bristol is bombed. 92 people are killed. Southampton comes under attack twice during the day and as a result the Supermarine factory at Woolston is put out of action and 110 people are killed. The Tripartite Pact is signed by Germany, Italy and Japan. London again comes under attack by the Luftwaffe during the night. Air Marshal Sir Richard Peirse replaces Sir Charles Portal as Bomber Command's Air Officer Commander-in-Chief. Coastal towns and targets of interest come under attack during the day from fighter-bombers. Meanwhile the RAF target barges at Dutch ports amongst other targets. No. 80 (Signals) Wing is formed at RAF Radlet and is the first electronic warfare unit of the Royal Air Force. They will be used to interrupt any aids used to help the Luftwaffe pinpoint their targets. Sgt. Josef Frantisek DFM who, with 17 victories, was the highest scoring Allied Battle of Britain pilot dies in a flying accident at the age of 27. Weymouth, Kent and London come under attack during the day. At night airfields are targeted as well as Manchester and London. In an effort to keep the pressure on Britain to seek peace Hitler wants invasion preparations to continue, but postpones the invasion until spring 1941. During a raid on London a bomb explodes at Balham Tube Station where a number of people are sheltering. In total nearly 70 people die. 104 people are killed when a trench shelter in Kennington Park, Lambeth suffers a direct hit. Liverpool, The Midlands, London and Bristol are all attacked during the night. 138 aircraft from Bomber Command attack a range of targets in Germany and Italy. The West Country, Liverpool and London come under further daytime attacks. During the night the Luftwaffe bombs London, Liverpool and Coventry. In the day attacks are made by aircraft flying alone in the South East and Midlands whilst at night Glasgow is bombed as is London again. The Corpo Aereo Italiano (Italian Air Corps) join the battle when 18 Fiat BR 20s take off from airfields in Belgium to raid Felixstowe and Harwich during the night. Fighter-bomber attacks are made on London and Kent whilst a number of major cities are bombed. The Corpo Aereo Italiano again attack Britain as during the day 15 BR 20s are escorted by Fiat CR.42 Falcos and Fiat G.50s which took off to bomb Ramsgate. After 3 months and 3 weeks the Battle of Britain ends. With the Luftwaffe's failure to gain air superiority over Southern Britain the invasion cannot take place during 1940. Although the Blitz will continue over the coming months as cities across the UK are bombed. With the battle now over and the Luftwaffe unable to overcome the Royal Air Force and daylight attacks proving costly in both aircrew and aircraft the Luftwaffe would turn to night operations targeting cities with the intention to weaken civilian morale as a continuation of the Blitz. This would also see the rise of a new tactic adopted by the Germans of attacking cities on consecutive nights. During the six months that followed the UK would suffer 135 major or heavy attacks with London being targeted the most, suffering a particularly devastating attack on the 29th December 1940, then Liverpool and Birmingham. Wherever there were factories vital to Britain's war industry the Luftwaffe would attack those cities, including Manchester with its A V Roe factory, Sheffield with its armament factories, Cardiff and its docks were bombed as Hull's, the industrial area of Clydebank and Glasgow and the docks and shipyard at Belfast also come under attack. One of the worst raids of the Blitz occurred on the 14th November 1940 when the Luftwaffe launched Operation Mondscheinsonate (Operation Moonlight Sonata) targeting Coventry. On that night 568 people were killed and the Cathedral destroyed. This would lead to a new word by the Germans "to coventrieren" (to Coventrate). November would also see Air Marshal Sir W. Sholto Douglas replace Hugh Dowding as Commander-in-Chief of RAF Fighter Command on the 25th. Whilst former Prime Minister Neville Chamberlin had died at the age of 71 on the 9th November. The last bombing raid of this period was on the 10th May 1941 when London was attacked by over 500 aircraft with 1,486 people killed and bringing to an end 8 months 5 days of attacks which saw 43,500 people lose their lives. Whilst this was the end of the Blitz as Adolf Hitler turned his attention to the invasion of the Soviet Union this wasn't the end of attacks on the UK as over the coming months and years the Luftwaffe would return. The Blitz: What would you have done when the bombs fell?